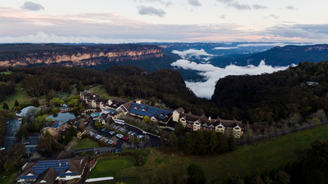 On the edge of the dramatic Jamison Valley in the World Heritage listed Blue Mountains National Park (https://www.bluemts.com.au/info/) and located only 90 minutes west of Sydney, sits the conference venue, The Fairmont. The Sakyadhita Conference Committee has booked the entire venue for the Conference, which will enable most Conference attendees the option to stay on site, offering a true five day residential Conference. 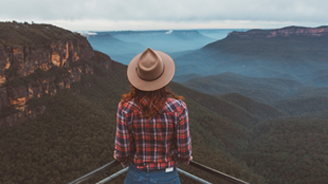 The Fairmont has expansive views and extensive grounds to walk in, thus creating a retreat environment to deepen our connections surrounded by lands held sacred to the Aboriginal people. The Conference Committee will be organising transport from Sydney Airport and City Centre and for those staying off site, a bus will loop around neighbouring villages daily, during the Conference. 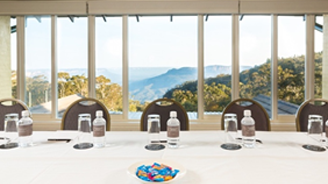 The Conference spaces are intimate and all are located across the grounds of the Fairmont. A hearty buffet breakfast and full vegetarian lunch, will be offered each day also. 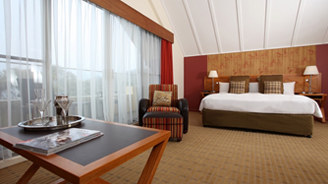 Accommodation options – available once registration is open – will include Single, Twin, Triple, Family and shared bed options.